Construction of the first of 1,177 housing units in the Edge-on-Hudson project in Sleepy Hollow, a collection of luxury brownstones, is underway. Infrastructure work on Phase Two of the 70-acre mixed-use development has also begun, following two years of similar work focused mainly on the initial phase. In addition to a variety of housing, the former GM site along the riverfront will also see a 140-room boutique hotel, retail and office space. The brownstones are being constructed by Toll Brothers, which signed an agreement with the developers, SunCal and Diversified Realty Advisors, to buy and build out the lots in Phase One. It is expected that as many as 306 units of housing will be built by Toll Brothers in Phase One, including 40 affordable senior units and 21 affordable housing units. Among luxury lofts being built, there will be 46 condo flats with one, two, and three bedroom units, ranging from 800 to 1,800 square feet, according to Toll Brothers. 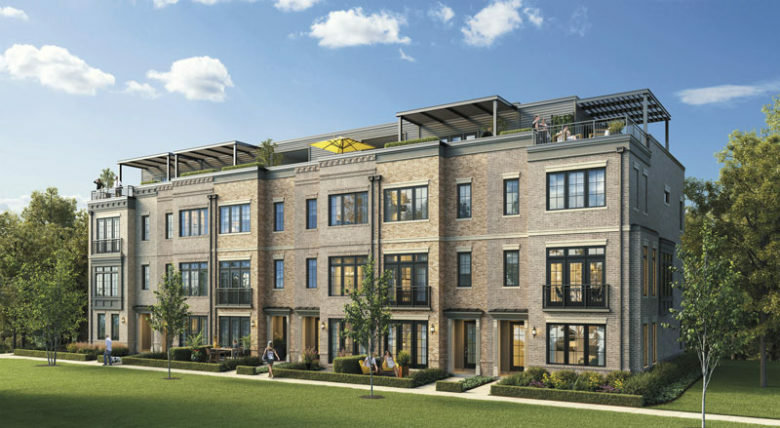 Within the Brownstone Collection, three and four-story townhomes, with large rooftop terraces, will be available. Townhouses with up to 2,900 square feet are also planned. A new sales gallery situated on site will begin to offer homes to prospective buyers. Sixteen acres of parkland, with what is described by the developers as “a winding promenade along the water linking to the existing RiverWalk to the south and Kings-land Point Park to the north,” will offer a recreational setting within the $1 billion development. Edge-on-Hudson’s acreage had the distinction of being the largest undeveloped expanse of land along the Hudson River waterfront before work began. It is expected to increase Sleepy Hollow’s population by almost a third and contribute significantly to the village’s economic development.